A lovely hotel with lush gardens and an inviting outdoor pool, Lemas Suite Hotel is just a 15-minute walk from the beach. 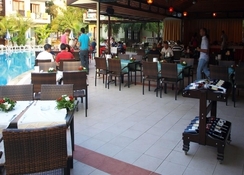 The hotel offers air-conditioned rooms with balconies, satellite TVs and spa treatments here. Guests can also request for a hammam and a Turkish bath to get the taste of traditional Turkish culture. Guests often rent bicycles here to explore the nearby areas while at Lemas Suite Hotels. Horse riding is a common activity done by the tourists at the resort. A kid’s pool and a playground are provided for the entertainment of kids at Lemas Suite Hotel. The relaxed property is just 1 km from the beach and the guests can spend time sunbathing on the beach. 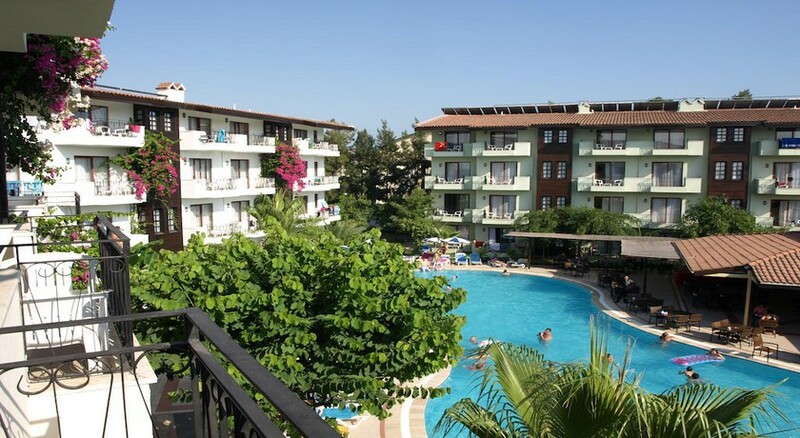 Lemas Suite Hotel is just 4km from Manavgat. Guests will love the sight of the well-protected countryside and stunning waterfall. The Side town center is just 3km from here where tourists can go to take a look and shop at the local country market. The best way to reach Lemas Suite Resort by air is via Antalya Airport at 54km from here. Relax and enjoy in the well-appointed standard twin rooms at Lemas Suite Hotel with tiled flooring and private bathrooms. The apartment and studios come with a kitchenette and essential cooking utensils. You can also find a safe box, free Wi-Fi and a mini-fridge here. 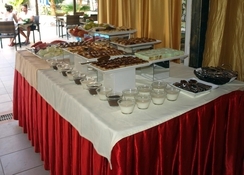 A buffet breakfast and lunch provided here will include international dishes and Turkish cuisines. You can also order a la carte meals. 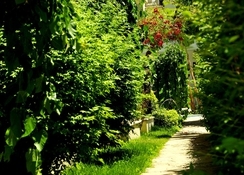 Guests can spend time sunbathing on the terrace or strolling at the small garden by the pool. You can also rent a bike for cycling and pay an extra fee for horse riding. There are 2 bars and a small on-site market in the resort. The hotel also has a hairdressing saloon. The spa here offers sauna, hammam and massage treatments. You can also play billiards and table tennis here.